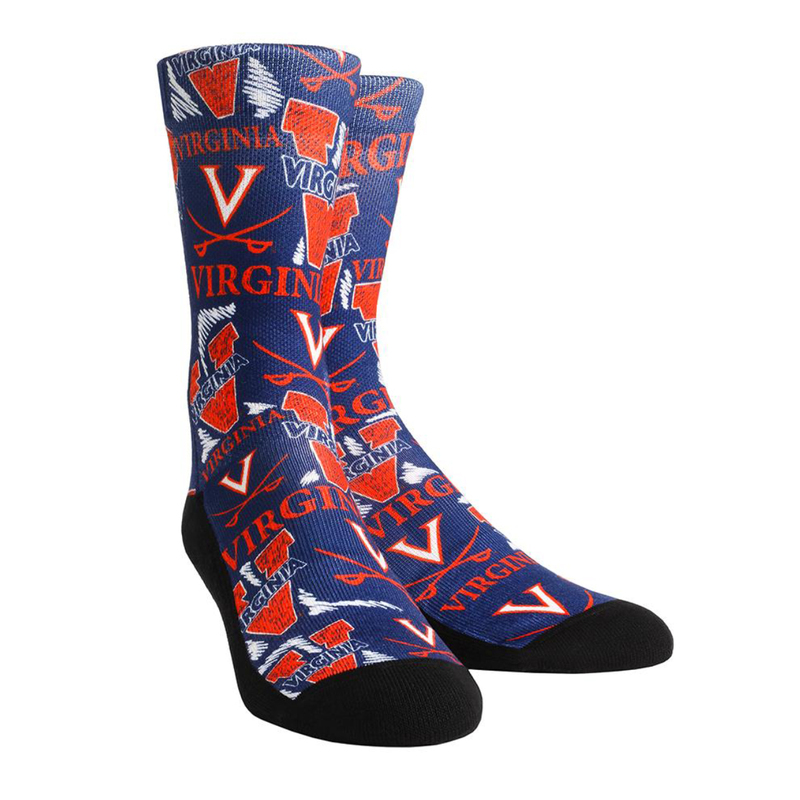 Cheer on your Virginia Cavaliers in these Graphic Rock 'Em Socks inspired by their iconic set of logos. Very unique. Well-fitting as well.